Small Business Set-Aside Program : Adopted by the Metro Board on January 13, 2014, this initiative reserves certain types of contracts for Small Business Enterprises qualified under the appropriate North American Industry Classification System codes. The program covers competitively negotiated contracts, sealed bids and public works that meet threshold criteria from $3,000 up to $5 million. Applicable procurements will be set aside for competition among SBEs when and if there is a competitive pool of three or more SBE firms available to perform the work. To learn more, visit the Set-Aside Program webpage . 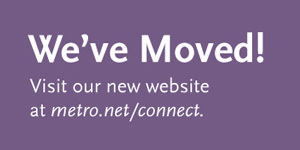 Metro’s SBE Directory is available here . Disadvantaged Business Enterprise (DBE) : Metro’s policy is to ensure that DBE firms have an equal opportunity to receive and participate on transportation and highway contracts work funded in whole or in part with federal funds in accordance with the Department of Transportation DBE Program 49 CFR Part 26. The DBE program removes barriers to the participation of DBEs and provides a level playing field on which DBEs can compete fairly. DBE prime contractors and subcontractors are encouraged to participate in Metro contracting opportunities. Metro's Overall DBE goal for Federal Fiscal Year 2013-2015 is 27%. Metro will meet its overall goal by using race-conscious 20.89% and race-neutral 6.11% measures. See FAQ’s for additional information. Small Business Enterprise (SBE) : Metro’s policy is to ensure that SBE firms have an equal opportunity to receive and participate on transportation and highway contract work funded in whole or in part with non-federal, state and/or local funds. The SBE Program removes barriers to the participation of SBEs and provides a level playing field on which SBEs can compete fairly. SBE prime contractors and subcontractors are encouraged to participate in Metro contracting opportunities. Metro's Overall SBE Goal is 30%. Contract Compliance Unit : Establishes DBE and SBE contract-specific goals on Metro contracts and monitors prime contractor compliance with DBE/SBE requirements to meet commitments. Monitors, assesses, and reports compliance with DBE/SBE program requirements and enforce prompt payment to DBE/SBE primes and all subcontractors. Certification : Ensures businesses are properly certified as DBE and/or SBE firms in accordance with DBE and SBE Program requirements to increase the pool of certified firms available to participate in Metro contracting. See FAQs for additional information. Metro’s Project Labor Agreement (PLA) and Construction Careers Policy (CCP) : The PLA/CCP was approved by Metro’s Board on January 26, 2012. The programs apply to local and certain federally funded Metro construction projects with a construction value greater than $2.5 million. The Metro PLA is unique in that Metro is the first transit agency in the nation to adopt a PLA with National Targeted Worker goals for federally funded projects. For more information, please visit metro.net/pla . Metro’s Small Business Outreach : Responsible for providing assistance and guidance to small businesses interested in pursuing contracting opportunities at Metro. The goal of the unit is to maximize small business participation on Metro contracts. Metro’s Labor Compliance : As a recipient of State and Federal funds, Metro is required to monitor and enforce contractor compliance with State and Federal prevailing wage requirements on Metro public works projects. Projects with State funds are administered by the California Department of Industrial Relations (DIR) where compliance with the California Labor Code is enforced. When the source of funding is federal, the Davis-Bacon Act is applicable and is enforced by the U.S. Department of Labor .